Společnost Kingston Technology Company, Inc. je největším nezávislým výrobcem paměťových produktů na světě. Kingston vyvíjí, vyrábí a zajišťuje distribuci paměťových produktů pro stolní počítače, notebooky, servery a tiskárny, dále flash pamětí pro PDA, mobilní telefony, digitální fotoaparáty a MP3 přehrávače. Společnost Kingston má díky celosvětové síti dceřiných a přidružených společností výrobní závody v Kalifornii, na Taiwanu a v Číně a její obchodní zastoupení jsou ve Spojených státech, v Evropě, Rusku, Turecku, na Ukrajině, v Austrálii, Indii, Taiwanu, Číně a Latinské Americe. Další informace můžete získat na telefonním čísle +44 (0)1932 738888 nebo na internetové adresewww.kingston.com/europe. Fujitsu patří mezi největší japonské společnosti z oblasti informačních a komunikačních technologií (ICT) a nabízí kompletní portfolio IT produktů, řešení a služeb. Přes 170 tisíc zaměstnanců Fujitsu obsluhuje zákazníky ve více než 100 zemích. Fujitsu společně se svými zákazníky využívá své dlouholeté zkušenosti a sílu ICT k vytváření budoucnosti naší společnosti. Konsolidované tržby Fujitsu Limited (TSE:6702) za poslední fiskální rok, který skončil 31. března 2011, dosáhly výše 55 miliard amerických dolarů. Více informací je k dispozici na webu www.fujitsu.com. Intel, the world leader in silicon innovation, develops technologies, products, and initiatives to continually advance how people work and live. Founded in 1968 to build semiconductor memory products, Intel introduced the world's first microprocessor in 1971. Their mission is to create and extend computing technology to connect and enrich the lives of every person on earth. For more information, please go to: www.intel.com. ASUS, a technology-oriented company with a global staff of more than ten thousand and blessed with one of the world's top R&D teams, is renowned for high-quality products and cutting-edge innovation. As a leading company in the new digital era, ASUS offers a complete product portfolio to compete in the new millennium. ASUS has an unyielding commitment to innovation and quality, a fact borne out by its corporate slogan-"Inspiring Innovation â€¢ Persistent Perfection"-and the numerous media, industry and governmental accolades it receives every year. In 2008, ASUS won 3,056 awards-receiving over 8 awards on average every day. For more information, please go to: www.asus.com. To meet the demands of market development by providing more integrated solutions to customers, BIOSTAR has enriched our competence in the designing and manufacturing of products such as add-on cards, multi-media and system products. In 1990, in order to expand our capacity to meet demands of global customers, BIOSTAR was the first to establish our manufacturing premises in China. In 1998, our sales revenues exceeded 130 million US dollars and we ranked 227th among the top 1000 enterprises in Taiwan. Furthermore, in 1999 we obtained the ISO 9001 certification and became a publicly listed company in the same year. The future of BIOSTAR is unlimited. For more information, please go to: www.biostar.com.tw. For more information, please go to: www.gigabyte.com. Created in 1989, TYAN designs, manufactures and markets advanced x86 server/workstation platforms. TYAN's products are sold to OEMs, VARs, System Integrators, and Resellers around the world for a wide range of applications. As a leading server brand asset owned by MiTAC International Corporation, TYAN is to be deeply enhanced and further developed through the synergy and innovation of the new MiTAC. For more information, please go to: www.tyan.com. Super Micro Computer, Inc. develops, manufactures and sells energy-efficient, application optimized server solutions based on the x86 architecture. The company's wide range of products include the industry's deepest array of server, high-end workstation and storage systems as well as energy efficient server components, called Server Building Blocks SolutionsÂ®, that include serverboards, chassis and power supplies; Supermicro's powerful Universal I/O (UIO) expansion card technology, and other system accessories. For more information, please go to: www.supermicro.com. AMD is a semiconductor design innovator leading the next era of vivid digital experiences with its ground-breaking AMD Fusion Accelerated Processing Units (APU). AMD's graphics and computing technologies power a variety of devices including PCs, game consoles and the powerful computers that drive the Internet and businesses. For more information, please go to: www.amd.com. LSI Corporation (NYSE: LSI) is a leading provider of innovative silicon, systems and software technologies that enable products which seamlessly bring people, information and digital content together. LSI supplies its worldwide channel partners with access to the broadest line of storage adapters available on the market today, including 6Gb/s SATA and SAS HBAs (host bus adapters) and MegaRAIDÂ® and 3wareÂ® controller cards. LSI provides channel partners, including distributors, vertical OEMs, resellers, system integrators, system builders and direct market resellers (DMRS), with sales support, tools and resources that help make a difference in a successful business. Since our founding more than 25 years ago, Xilinx has been a semiconductor industry leader at the forefront of technology, market and business achievement. Whether pioneering the fabless manufacturing model, inventing the FPGA, ranking among the world's leading patent holders, or delivering products and services distinguished by their quality and reputation for customer satisfaction, a spirit of innovation has driven our company to break new ground. Count on Adaptec for the most reliable, easy-to-use storage, data protection and connectivity solutions, built on 25 years of industry leadership. Adaptec SCSI, Serial ATA (SATA) and Serial Attached SCSI (SAS) host bus adapters and RAID controllers simplify and centralize management across platforms, and also provide the industrys most trusted RAID software, proven over years of use in demanding environments. Check out Adaptec's Green Power Management HERE. Astek Corporation, established in 1998, specializes in embedded computing products and solutions for the industrial, telecommunications, medical, and military markets. Astek provides off-the shelf products for storage, processing, networking and Test & Measurement of high-speed SerDes protocols such as HyperTransportâ„¢ and IEEE1394 FirewireÂ®. In addition to standard products, Astek offers rugged MIL-STD 810 qualified systems, extended temperature operation and environmental stress testing/screening for standard products, OEM/ODM and full-custom NRE design services for hardware and firmware/software. Astek is an ISO-9001 registered company, and an executive member of the PCI Industrial Computer Manufactures Group (PICMG). Astek is a closely held private company located at 5055 Corporate Plaza Drive, Colorado Springs, CO. 80919. For more information, please go to: www.astekcorp.com. Maxim Integrated Products is a publicly traded company that designs, manufactures, and sells semiconductor products. The company's stated mission is to deliver innovative analog and mixed-signal engineering solutions that add value to its customers' products. To date, Maxim has developed over 6500 integrated circuits (ICs) serving the industrial, communications, consumer, and computing markets. For more information, please go to: www.maxim-ic.com. For more information, please see: us.fujitsu.com/fcpa. Hitachi Global Storage Technologies is a storage technology leader, founded in 2003 through the combination of Hitachis and IBMs hard disk drive businesses. Hitachi GST enables users to fully engage in the digital lifestyle by providing high-value hard disk storage in formats suitable for the office, on the road and in the home. With its legacy in hard drive invention, Hitachi GST will lead the industry in celebrating the storage technologys golden anniversary in 2006. The hard drive has had a profound effect on the computing and consumer electronics industries after five decades of innovation. That heritage lives on at Hitachi GST today through products that define the standard for hard drive miniaturization, capacity, performance and reliability. With approximately 26,000 employees worldwide, Hitachi GST offers a comprehensive range of hard drive products for desktop computers, high-performance servers, notebooks and consumer devices. For more information, please visit the companys web site at www.hitachi.com. Toshiba America, Inc. (TAI) is the holding company for one of the nation's leading group of high technology companies, with a combined total of approximately 8,000 employees in the U.S. Together, the U.S.-based companies under TAI's umbrella manufacture and market a widely diversified range of modern electronics, each conducting research and development, manufacturing, sales and service in its field of expertise. TAI is a subsidiary of Toshiba Corporation, a world leader in high technology products, with 364 consolidated subsidiaries worldwide. 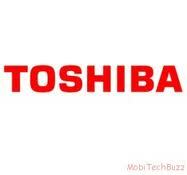 For more information, please go to: www.toshiba.com. Over the last 20 years, 3Y Power Technology has steadily expanded its product offering and customer base. As a result, we have been rewarded with numerous consecutive years of double-digit growth, even during times when much of the U.S. technology sector was experiencing contraction. Our current portfolio of innovative standard products and custom designs, coupled with our core strengths of first-rate engineering, exceptional applications support, and familiarity with intelR power specifications, allows us to provide rapid response to customer needs - with products that meet the most stringent requirements, (features / functionality / power density / regulatory compliance). In 2004, FSP Group (Taiwan) invested in 3Y Power Technology. Through this collaboration, both companies are experiencing significant benefits from the synergy of strengths that this union created. For more information, please go to: www.zippy.com. For more information, please go to: www.seasonic.com. FSP Group is the 5th largest power supply vendor in the world. Since the company was established in 1993, our outstanding management team has drawn together our R&D expertise, our sizeable production capacity, outstanding product quality to consistently excel in this competitive marketplace. For more information, please go to: www.fsp-group.com. Emerson is a diversified global manufacturing and technology company. We offer a wide range of products and services in the areas of network power, process management, industrial automation, climate technologies, and tools and storage businesses. Recognized widely for our engineering capabilities and management excellence, Emerson has approximately 127,700 employees and 240 manufacturing locations worldwide. For more information, please go to: www.emerson.com. Tilera® Corporation is the industry leader in highly scalable general purpose manycore processors for networking, wireless, and multimedia infrastructure applications. Tilera's processors are based on its breakthrough iMesh™ architecture that scales to hundreds of RISC-based cores on a single chip. The distributed nature of Tilera's revolutionary architecture and the standards-based tools, including ANSI C/C++ compiler, GNU tools andEclipse IDE, deliver an unprecedented combination of performance, power efficiency and programming flexibility. Tilera was founded in October 2004, and now provides three product families: TILE64$™, TILEPro™, and its latest generation TILE-Gx processors available now. The company is headquartered in San Jose, Calif., with locations in Westborough, Mass., Glasgow, UK, Yokohama, Japan, and Shanghai and Beijing, China. For more information, visit www.tilera.com or follow us at twitter.com/tilera. NVIDIA awakened the world to the power of computer graphics when it invented the GPU in 1999. Open-E®, Inc is a leading provider of unified file and block storage management software solutions. The Open-E Data Storage Server (DSS™) offers support for Network Attached Storage (NAS), iSCSI, InfiniBand and Fibre Channel SAN (Storage Area Network) functionality all in a single, easy to use storage application. Open-E DSS also provides, at no extra cost, Automatic Failover and Failback for high-availability, Remote Mirroring for disaster recovery, WORM (Write Once Read Many) support for digital archiving, and NDMP (Network Data Management Protocol) support for universal backup - ensuring better data security, increased fault tolerance, and improved availability of all data, ultimately delivering better overall performance and value. 3Gen Data Systems is a leading developer and global provider of high quality, cutting-edge storage solutions that enable businesses worldwide to store, protect, and manage their data with ease and efficiency. Founded by three prominent storage industry leaders with over five decades of industry success between them, 3Gen Data Systems is the culmination of their expertise, innovative drive, and industry foresight. For more information, please go to: www.3gendata.com. Kingston Technology Company, Inc. is the world's independent memory leader. Founded in 1987 with a single product offering, Kingston® now offers more than 2,000 memory products that support nearly every device that uses memory, from computers, servers and printers to MP3 players, digital cameras and mobile phones. 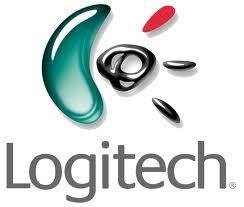 In 2010, the company's sales reached $6.5 billion.